The city of Oakland, California, has reached a settlement with a motorcyclist who was struck by a police officer’s vehicle in 2017. The $12 million settlement is one of the largest in the Bay Area’s history. The victim suffered extensive injuries that have prevented him from working and left him with piles of medical bills. According to court papers, Elliott Van Fleet was riding his motorcycle on the morning of March 25, 2017. 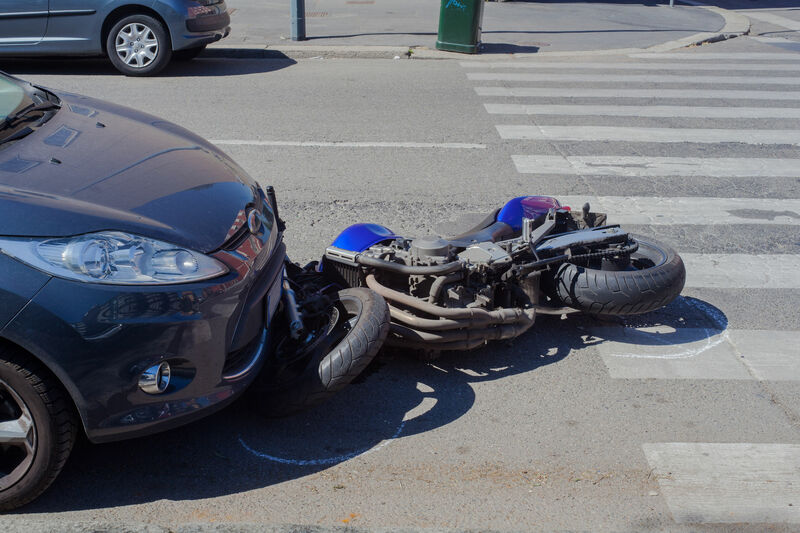 As he was riding through a green light, a police officer driving an SUV police vehicle ran a red light and crashed into him, causing Van Fleet to be thrown from his motorcycle. Van Fleet was severely injured from the crash. He sustained fractures to his pelvis and vertebrae, and his lower-left leg had to be amputated at the hospital. Other deep wounds and injuries to his skin occurred as well. Van Fleet claims that the police officer ran the red light without stopping. This is a violation of the pursuit policy enforced by the Oakland Police Department. While the Oakland Police Department has declined to comment on this incident and any action they’ve taken against this officer, the settlement appears to at least partially acknowledge some responsibility. If you have been the victim of a car accident, it is time to take action and hold the reckless driver accountable for the injuries they have caused you. Hales & Associates, A Professional Law Corporation has helped car accident victims receive the compensation they deserve. We proudly serve clients in the Murrieta, Temecula, and Riverside areas. Contact our office today to learn more about how we can help you take the necessary steps to get your life back on track.